These weren't the original case fans I bought for this build. 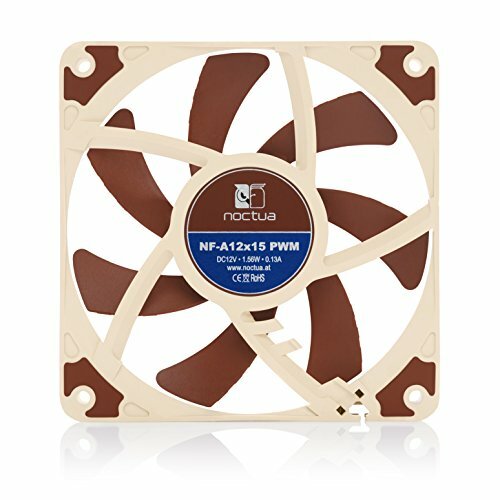 These (https://pcpartpicker.com/product/Mb4gXL/noctua-case-fan-nff12industrialppc3000pwm) were the first ones I had in it. 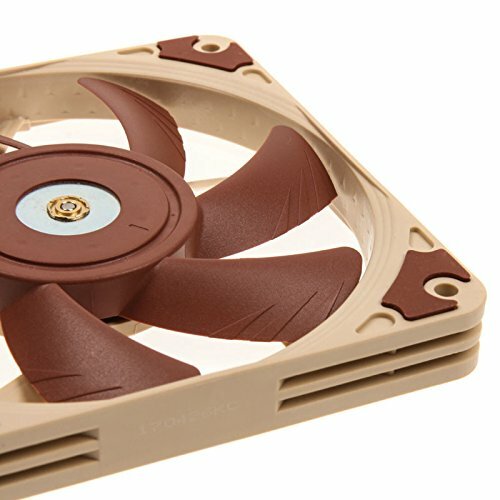 However, that's only because I didn't know that case fans came in 15mm thickness. The first fans were right up against the GPU and it almost seemed like they were hampering more than helping. These new ones leave a little space between the two. They're super quiet, with the low noise adapters and they keep this baby cool! These skinny little 120s made my build possible. They run real quiet and perform well on the Corsair H80v2. Couldn't be happier. from completed build Clean, mean killing node 202 machine! Good fan. Not crazy about the color. These are the 15mm slim variant. They spin up to 1800 rpm, but I keep them around 1300. The sound isn't too loud or whiny, somewhat pleasant as far as fans go I guess. 2 of these on a single 30mm radiator are enough to cool my top end components, at least without heavy overclocks. 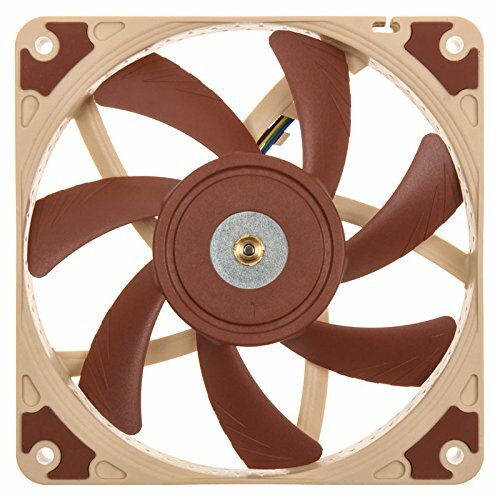 Moving up to 240mm of radiator and overclocking CPU/GPU, I did start to notice the max capacity of these fans. They just couldn't push enough air in this layout, even with 5 of them in a Define Nano S. Switching to a combination of standard 25mm Noctua NF-F12s & Corsair ML 120 Pros in this setup results in 10 ~ 15C reduction in temps!! So these fans are great for what they are, can't take off stars for that. 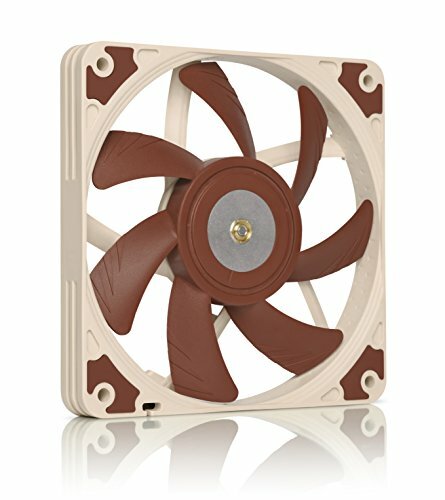 They are necessary in some extremely space-constrained builds, but in the end they cannot match their full-size counterparts, so definitely go with normal fans if space permits! while testing the case with the top lid off, these fans were pushing plenty of air to & past the GPU. I haven't had them spin very fast but I doubt they'd get very loud if they happen to do so. despite being slim, they push enough air to let the RX 480's fans remain idle unless really pushed in games. 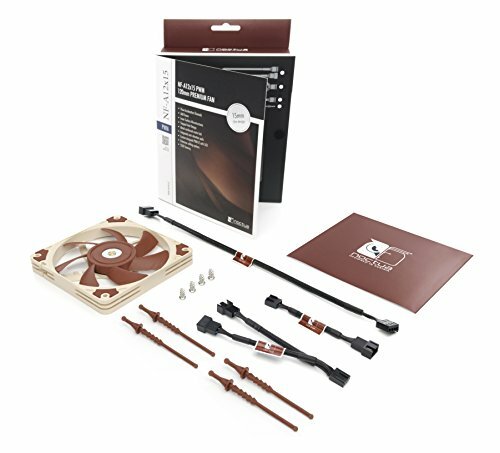 these fans came with a very short Y-adapter but I opted to use a longer splitter from a previous set of Noctua fans. Slim and pretty quiet right up until peak RPM. 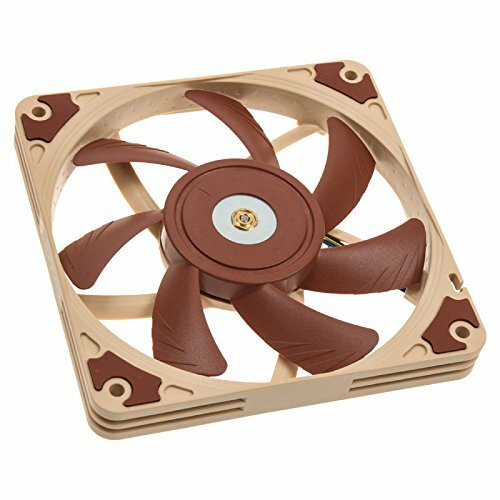 This is the low profile fan I used to replace the stock radiator fan on the AIO cooler. This provides just enough clearance for the case to close.